When running high-scale, multi-national campaigns, one finds oneself constantly thinking about faster, more efficient ways to perform various optimization actions. 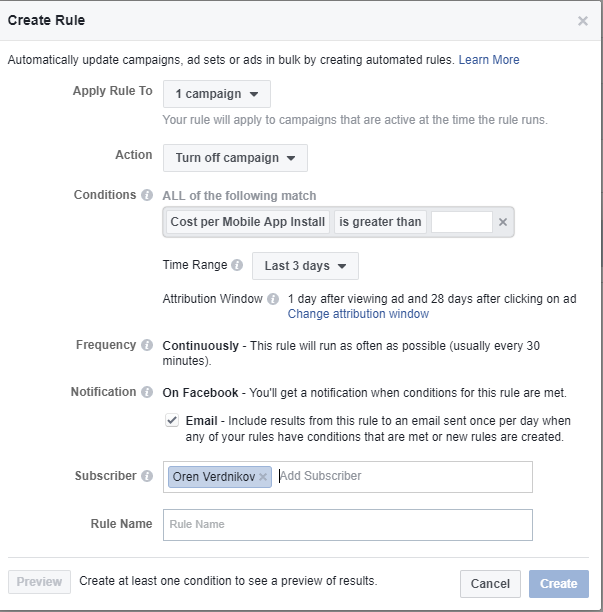 Luckily, Facebook automated rules can help you save time managing your campaigns, get useful alerts and make better decisions. As you can see, the Facebook rule interface is magnificent! First, you can control what you apply the rule to – campaign, ad set or ad. Then, you can choose an action – send notification, turn off, increase/decrease budget/bid. You can set Conditions that trigger the rule. For example, if the cost per mobile app install is greater than X, then the rule should be applied. Facebook allows you to choose from 21 different conditions. Next, you can set the rule frequency, the way in which you get notified, who gets notified, and the rule name. 1. Cost per result is higher than target? Notify me please! With this rule, you (and any other subscriber you choose) will receive a notification when the cost per result is higher than your target amount in a specific time frame of your choosing (available time frames are previous day, last 3 / 7 / 14 / 30 days and lifetime). 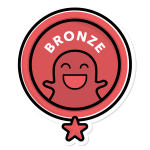 This allows you to get alerted of any extreme behavior and to optimize ad sets or ads that require adjustment. 2. Cost per result is lower than target? Let’s scale! Another very cool thing we can do is automatically increase (or decrease) daily budget based on results. Again, you need to decide what defines good results and then set the action you want. For example, increase daily budget by 20% when CPA is lower than $10. This allows you to adjust budget (and bids) automatically and make your optimization process more efficient. You should check your ads frequency on a regular basis. However, if you don’t (and even if you do), just set a rule for it. First, you need to determine the threshold and then set a rule to notify you (or, while this is not recommended, to turn off the ad) when your ad passes this threshold. Just note that, if you also run re-targeting activities, you should allow these ads to have higher frequency and set higher thresholds. 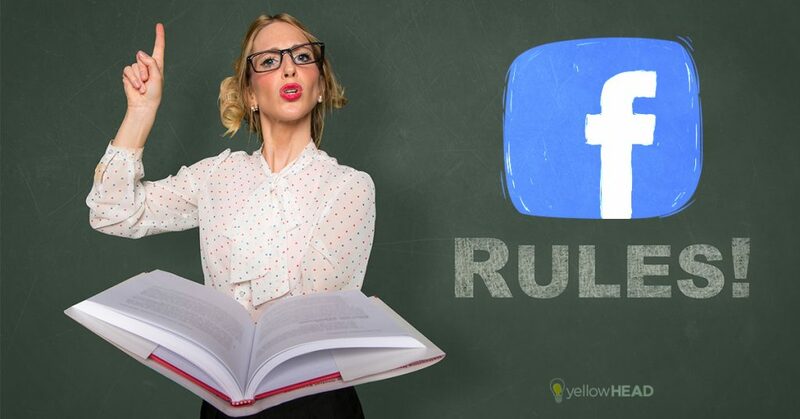 Other than the examples above, Facebook automated rules are an advanced and flexible tool with multiple possibilities that can benefit your Facebook campaigns in many ways. If you wish to check out the complete list of conditions, actions and logical expressions associated with Facebook automated rules, you can visit Facebook help center. If you’re interested in automating actions on Google AdWords as well, read this post about Google AdWords Automated Rules.